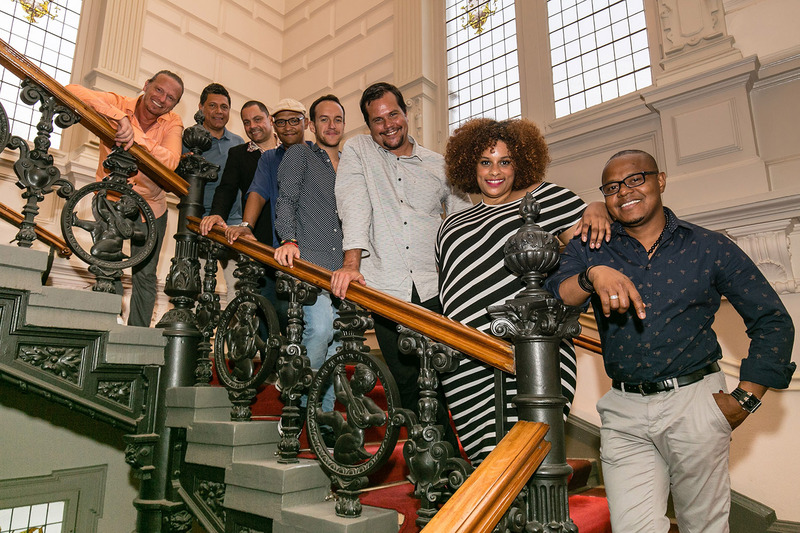 Alberto Caicedo, Dina Medina (vocals); Joe Rivera (trumpet); Pablo Martínez (trombone); Carlos Matos (piano); Yerman Aponte (bass); Armando Vidal (drums, vocals); Nils Fischer (congas, percussion). The melancholy of the Cape Verde Islands, the exhilaration of Cuban rumba plus innovative jazz and West-African rhythms: it all comes together in the music of CaboCubaJazz. This project of percussionist Nils Fischer and Cape Verdean pianist Carlos Matos debuted back in 2011 with the acclaimed album Rikeza Y Valor and now we have its rousing follow-up Corason Africano. The gentlemen asked musician friends from Cuba, Colombia, Spain, Puerto Rico, Venezuela and many more countries to join them on this recording. All the artists look to Africa for inspiration and the album pays tribute to that continent while also reflecting the influence Africa has on music on the other side of the Atlantic. Melodies and rhythms fly back and forth keeping listeners so busy that they have only one escape route out of the labyrinth: dance!